Here is a link to an index of critical commentary. The press summary of the case is here. This case summary aims to condense the judgments given in the case of Miller and Dos Santos v Secretary of State for Exiting the European Union (“Miller”) (and the joined cases with it) in the Supreme Court. References to particular paragraphs are in square brackets. The decision was a split decision with eight of the 11 judges deciding in favour of Gina Miller, and others, who brought the action against the Government, represented by the Secretary of State (‘SOS’). The majority, including Lord Neuberger, the President of the Supreme Court, gave a joint judgment but the three minority judges each gave their own judgments – although the two shorter ones (Lords Carnwath and Hughes) expressly adopted and agreed with the major dissenting judgment of Lord Reed. Each judgment will be summarised below. This appeal was from a decision of the Divisional Court in front of the Lord Chief Justice, Lord Thomas of Cwmgiedd, Sir Terence Etherton MR and Sales LJ who unanimously found in favour of Miller, whose arguments were supplemented by a number of interveners with varying rights of residency in the UK. The court paid tribute to all the advocates and solicitors involved in the case as well as academic commentary, particularly on this blog. The UK entered the European Economic Community – which later became the European Union (‘EU’) – in 1973. European law took effect through the European Communities Act 1972 (‘1972 Act). In 2015, a referendum under the auspices of the European Union Referendum Act 2015 produced a majority in favour of leaving the EU. The issue for the court was what legal steps needed to be taken to initiate the process of leaving. The core question was whether Government ministers could give formal notice without a new Act of Parliament. The court expressly stated that the case had nothing to do with any of the political issues surrounding withdrawal from the EU. Also raised in the case was the impact on the devolved administrations of Wales, Scotland and Northern Ireland. The ‘devolution issues’ raise the question of whether consultation or agreement of the devolved institutions would be necessary before notice to leave the EU could lawfully be given. The main issue in determining the case was whether the SoS could bring about changes in domestic law by exercising his powers at international level and this raises two potentially conflicting principles. The first is that the SoS generally can enter or exit treaties without the need for a fresh Act of Parliament. The second is that the Secretary of State cannot normally exercise any powers he has if it would result in a change in UK domestic law unless he has authorisation from an Act of Parliament. The question is whether the second principle prevents the SoS from giving notice to the EU until a new Act authorises that to happen . In addition, numerous Treaties have been inserted into s 1(2) of the 1972 Act by other statutes. This included the Lisbon Treaty which contained a new mechanism for leaving the EU under Article 50 of that Treaty. This sets down a maximum two year process for exit after notification. It was accepted by all parties that once notice to exit the EU was given, it could not be revoked . A number of restrictions were imposed on the UK Government’s ability to agree further changes to the relationship between the UK and the EU [28-9]. The interpretation of the 1972 Act and other Acts lie at the heart of the case. The majority began by setting out the position of the SoS that the royal prerogative could be used to trigger withdrawal from the treaties on the basis that a ‘Great Repeal Bill’ would repeal the 1972 Act. However, following Fire Brigades Union (‘FBU’) the courts cannot proceed on the assumption that a proposed bill will become law so the question must be decided on the law as it stands . Using an analogy put forward by Lord Pannick QC (for Ms Miller), pulling the ‘trigger’ would inevitably result in the bullet hitting the target. This would pre-empt the decision of Parliament. Mr Eadie QC, for the Government, claimed that the 1972 Act did not exclude the use of the prerogative power and that the prerogative could indeed ‘alter domestic law’ . He further said that the 1972 Act had stipulated that EU law could cease if it was decided to withdraw. He also argued that by omitting to mention the power to withdraw, Parliament had intended to leave the prerogative power untouched, when the statutory framework as a whole was considered. The majority approved Dicey’s comment that the UK constitution is ‘the most flexible polity in existence’ as it had no ‘single coherent code of fundamental law’ being ‘pragmatic’ rather than ‘principled’ . Sovereignty originally rested in the Crown but that changed as ‘Parliamentary democracy and the rule of law developed’. This transfer moved much of previously prerogative power to the ‘three principal organs of the state’. Particularly important are a series of Acts between 1688 and 1707 that, inter alia, recognised the independence of the judiciary. In the Case of Proclamations it was held that ‘the King by his proclamation or other ways cannot change any part of the common law, or statute law, or the customs of the realm’. Article 1 of the Bill of Rights 1689 is central also. The exercise of the Crown’s ‘administrative powers… must be compatible with legislation and the common law. Otherwise, ministers would be changing (or infringing) the law’ . Prerogative is the ‘residue of powers vested in the Crown’. These powers are exercisable by ministers ‘provided that exercise is consistent with Parliamentary legislation’. Prerogative may be curtailed or abrogated by statute either by express words or by necessary implication. As the prerogative is residual, it will be ‘displaced in a field which becomes occupied by a corresponding power conferred or regulated by statute’ (see De Keyser and FBU) . The royal prerogative ‘does not enable ministers to change statute law or common law’. Further, ministers cannot ‘frustrate the purpose of a statute… by emptying it of content or preventing its effectual operation’ Laker Airways . The exercise of prerogative powers ‘at international level… would have rendered a licence granted under state useless’. Similarly in FBU a statutory scheme could not be made redundant and no court could decide a case based on an anticipated repeal of a statute. Two categories of prerogative can have domestic legal consequences. These are where it is inherent in the power that it will affect legal rights and duties of others, for example Crown servants’ terms of service. The second is where prerogative changes facts to which the law applies such as declaring war – which makes some previously lawful conduct become treasonable. The power to make treaties includes the power to withdraw from them. Both powers are ‘exercisable without legislative authority’ and are non-reviewable by the courts. Treaties are not part of UK law and create no legal rights in a dualist system. This protects the sovereignty of Parliament . The 1972 Act does more than prescribe domestic law in relevant areas. It creates a dynamic process where EU law is not only a source but overrides UK law (Factortame No.2). The fundamental rule of recognition has not been changed by the 1972 Act nor ‘would be varied by its repeal’. In fact, while the 1972 Act is ‘in a sense’ the source of EU law, in a ‘more fundamental sense’, the ‘EU institutions …are the relevant source’ of EU law. The 1972 Act ‘provided a new constitutional process for making law in the UK’. The 1972 Act also, and separately, ‘provided that rights, duties and rules derived from EU law should apply in the UK’ . As long as the UK is in the EU, relevant law must be implemented in the UK. Overall, the 1972 Act ‘is not itself the originating source’ of that law. Professor Finnis was cited (his arguments are here, here and here) for the idea that the 1972 Act is a ‘conduit pipe’ for introducing EU law. The 1972 Act ‘has a constitutional character’ (Thoburn). It is wrong to compare EU law to delegated legislation. It is a partial transfer of law making powers. The lower court held that because ‘ministers cannot claim prerogative powers to take an action which would result in change to domestic law’ Article 50 could not lawfully be triggered without statutory authorisation’ . Three categories of right were identified. The first consist of rights that could be replaced by domestic legislation such as workers’ rights. The second category are rights that could be replicated if other countries cooperate. The third category are rights that cannot survive exit from the EU. The majority held that rights from all three categories would be lost and said that the later categories stood or fell with the first category in any event. Does the 1972 Act preclude the use of prerogative power? Mr Eadie argued that rights under the 1972 Act are ‘ambulatory’, applying ‘from time to time’. Once the UK stops being bound, there will be no rights that the 1972 Act could latch onto. The variable content argument is, however, limited. Contrary to Lord Reed’s ‘powerful’ judgment, the 1972 Act neither ‘contemplates nor accommodates the abrogation of EU law’ on withdrawal ‘by prerogative act without prior Parliamentary authorisation’ . On the contrary, Parliament endorsed and gave effect to UK membership ‘in a way which is inconsistent with the future exercise by ministers of any prerogative power to withdraw’. There is a ‘vital difference’ between varying the content of EU law and changes in domestic law from exit. The latter involves a ‘fundamental change in the constitutional arrangements of the UK’. The membership of the EU is a ‘fixed domestic starting point. The question is whether that domestic starting point … can be set aside, or can have been intended to be set aside’ by the executive without statutory authority. This conclusion followed ‘from the ordinary application of basic concepts of constitutional law’ . The Divisional Court correctly reasoned that changes in domestic rights ‘represented another, albeit related, ground’ for the same outcome. The absence of the words ‘from time to time’ in section 1 1972 Act is damaging for Mr Eadie. Also, the dicta of Lloyd LJ in Rees-Mogg that said that prerogative power can only be ‘fettered by statute in express terms’ was expressly disapproved. The prerogative to make and unmake treaties ‘cannot be exercised in relation to EU Treaties’. The proper understanding is that the Act must positively create a power to withdraw . Section 2 of the 1972 Act does not accommodate a ministerial power to withdraw from the EU Treaties. The 1972 Act was not clear enough, following Simms, to be read as leaving such a power with ministers. In fact the contrary view is stronger, particularly in the light of the long title . It is ‘most improbable that ministers, constitutionally the junior partner’ could remove the law ‘grafted onto…, existing sources of domestic law’. Further, it would mean the power could have been exercised at any time after 1972 which was ‘implausible’. It was accepted ‘without formally deciding’ that ‘ministerial activity in the EU law-making process is effected under the Royal prerogative’ . This did not mean it could be used to withdraw because that function was envisaged by Parliament. Withdrawal ‘involves ministers doing the opposite’. Analogies with EFTA or double taxation agreements do not aid Mr Eadie. This had been suggested by Professor Finnis and contradicted by Kieron Beal QC. The argument that the later statutes ‘implicitly, but clearly, recognised the existence of prerogative power to withdraw’ was rejected. Silence in a statute can ‘rarely, if ever, justify inferring a fundamental change in the law’. This followed from Simms because if the Simms principle was true for general expressions it must also apply ‘a fortiori …to omissions’. . If prerogative powers are curtailed by legislation, they may be reinstated by repeal of that legislation. In this case, there never was a prerogative power. The prerogative power can only be created by a subsequent statute [sic] if that was expressly intended . The applicants relied on the non-ambulatory nature of rights to vote for an MEP under the European Parliamentary Elections Act 2002 which would inevitably be lost. The counter-argument that these rights were just a function of ‘membership of the club’ was said to have ‘some force’. This argument does ‘nothing to undermine and may be regarded as reinforcing’ the main part of the decision. The European Union Referendum Act 2015 did not stipulate legal consequences, unlike some other examples of Acts that authorised referendums. The 2015 Act was merely advisory. Nor did the vote in the House of Commons on 7 December 2016 make any difference. Since primary legislation is anyway required to give notice under Article 50, the first question raised in the NI Reference – does the NI Act mean primary legislation is required – was ‘less significant’. Devolution legislation did ‘not require’ the UK to remain in the EU. Such matters are ‘reserved’ or ‘excepted’. Devolved legislatures do not therefore have ‘parallel legislative competence’ . It would be ‘incongruous’ if enlarging the competence of the devolved bodies could be done ‘other than by statute’ . No decision was made on whether a discrete requirement for legislation was necessary. In his oral summary of the case, Lord Neuberger pointed out that the Supreme Court was unanimous on the devolution issues. The ultimate power to make laws for the UK was retained by Parliament, although Parliament would not normally do so without the consent of the devolved institutions. ‘Devolved legislatures have passed legislative consent motions (‘LCMs’) not only when the UK Parliament has legislated on matters which fall within the legislative competence of a devolved legislature, but also when the UK Parliament has enacted provisions that directly alter the legislative competence of a devolved legislature’. However, other examples of legislation changing the competences of EU institutions have not been the subject of LCMs . The courts cannot enforce a political convention (Jonathan Cape). ‘Judges are therefore neither the parents nor the guardians of political conventions; they are merely observers’ . As Professor Munro stated, ‘the validity of conventions cannot be the subject of proceedings in a court of law’. The Sewel Convention has been recognised in the Scotland Act 2016 but it remains a ‘political convention’. Other words would have been expected if it was supposed to be a ‘legal rule’. The prerogative includes the power to negotiate amend and withdraw from treaties. The exercise of that power is not justiciable unless a statute ‘has made it so’. Blackburn shows the importance of having the power to manage international affairs ‘in a single hand’. Ministers are politically accountable to Parliament which can require authorisation by resolution or legislation. ‘There is no legal requirement for the Crown to seek Parliamentary authorisation for the exercise of the power, except to the extent that Parliament has so provided by statute’ . As no statute requires the Article 50 decision to be taken by Parliament, ‘it follows that it can lawfully be taken by the Crown’. ‘So runs the SoS argument’. The SoS also claims that notification does not ‘alter any laws in the UK: it merely initiates a process of negotiation’. The Miller claimants argue that other examples of legal restrictions on the exercise of prerogatives apply in this case. They cite the Case of Proclamations and the Zamora. Lord Reed distinguished these cases because they did not concern foreign relations. Under the dualist system, the prerogative cannot be used to alter domestic law. De Keyser established that where a ‘matter has been regulated by Parliament, the Crown cannot regulate it differently under the prerogative’ . Lord Reed said that the Miller claimants cited Laker and FBU as the examples of the same principle but said that only Roskill LJ relied on that principle and FBU was in fact ‘based on a different principle’. It was common ground that notification ‘may not be stopped’. The referendum itself raised no issue for the court. On the issue of the rule of recognition, Lord Reed set out the argument of the Lord Advocate and Ms Mountfield QC that the rule of recognition had been altered. Lord Reed defined the rule of recognition as ‘the rule which identifies the sources of law in our legal system and imposes a duty to give effect to laws emanating from those sources’ . Their argument was that since the ‘status of EU institutions as a source of law will be revoked’, and that will be ‘a fundamental alteration’, only an Act can do that. entirely conditional on the application of the EU Treaties to the UK and therefore on the UK’s membership of the EU. The Act imposes no requirement and manifests no intention, in respect of the UK’s membership of the EU. It does not, therefore, affect the Crown’s exercise of prerogative powers in respect of UK membership…the analogy with De Keyser appears to me to be misplaced… no alteration in the fundamental rule governing the recognition of sources of law has resulted from membership of the EU . It follows therefore that the notification may be issued without a new Act and the argument relating to the Sewel Convention does not arise. All such [members of a specified category] as [satisfy a specified condition] shall be [dealt with in accordance with a specified requirement]. In this form, the conditional nature can be seen. Secondly, the ‘form of the rule does not convey any intention that the condition will be satisfied’ . Lord Reed disagreed with the majority that there was a ‘vital difference’ between variations in content and withdrawal and denied that there was any basis in the ‘language of the 1972 Act for drawing such a distinction’. The Act simply ‘creates a scheme’ to give effect to EU law. In particular, the phrase ‘in accordance with the Treaties’ showed that rights are not ‘automatically given effect in domestic law’. The phrase ‘without further enactment’ simply refers to the doctrine of direct effect. He pointed out that when the 1972 Act first came into force, there were no rights to be given legal effect until 1 January 1973. The conduct of foreign relations is a matter for the Crown. ‘That principle is so fundamental that it can only be overridden by express provision or necessary implication…No such express provision exists in the 1972 Act’ . Nor was there any necessary implication. It is not hard to envisage circumstances where ratification might not have occurred. The majority admitted that rights can be contingent on actions of other member states but s 2(1) of the 1972 Act does not limit that contingency. It follows that the effect given to EU law is conditional. This Act inserted Article 50. The contingency built into the 1972 Act ‘includes the potential operation of Article 50’. This is ‘not inconsistent’ with the majority view that Article 50 is not given effect in domestic law by s 2 of the 1972 Act. ‘The majority may be right about that, although the point has not been argued, and the opposite view may be arguable – see, for example, Robert Craig’ (MLR article). Lord Reed summarises Craig saying that it ‘is argued that section 2(1) of the 1972 Act has given article 50 domestic effect as a power exercisable by Ministers, superseding the prerogative but also supplying the Parliamentary authorisation desiderated by the Miller claimants’ . The Miller claimants respond that ‘section 2(1) of the 1972 Act impliedly requires the power of withdrawal under article 50 to be exercised by Parliament’. Nothing in the Act shows an intention to depart from the principle that this is a power exercised by the Crown. ‘As the majority of the court rightly state at para 108, the fact that a statute says nothing about a particular topic can rarely, if ever, justify inferring a fundamental change in the law’ . The remaining legislation is of ‘secondary importance’ but shows that Parliament ‘legislated on the basis’ that the prerogative was ‘not restricted’. Secondly, it shows that Parliament is ’perfectly capable of making clear its intention to restrict the exercise of the prerogative when it wishes to do so’. He gave a number of examples including the 2008 Act and the European Parliamentary Elections Act 2002. He claimed that if the Miller claimants are right an Act was required before the Treaty that led to the 2008 Act. The European Union Act 2011 (‘2011 Act’) was designed to introduce stronger Parliamentary controls and the absence of a particular restriction in the 1972 Act tends to support the conclusion that no such restriction was intended to arise by implication’ . On the 2015 Act, it was difficult to see how Parliament could implicitly have intended for it to have a further role when it failed to lay that down in that Act. The 1972 Act did not create statutory rights in the same sense as other statutes. Rights under the 1972 Act are inherently contingent as the hypothetical example of Greece withdrawing from the EU illustrates. It is ‘questionable whether notification will alter the law of the land’. The fact that enactment of EU law lies beyond the ability of Parliament illustrates how different it is from “the law of the land” as usually understood’ . However, even if the 1972 Act does create rights or alter the land, it is still conditional granting of those rights. If Parliament grants rights on the basis, express or implied, that they will expire in certain circumstances, then no further legislation is needed if those circumstances occur. If those circumstances comprise the UK’s withdrawal from a treaty, the rights are not revoked by the Crown’s exercise of prerogative powers: they are revoked by the operation of the Act of Parliament itself . The UK entry into the EU did not alter the rule of recognition because EU law is not a source of law of the relevant kind. This follows from the dualist nature of the UK. Authority for EU law is derived from statute which itself derives authority from the rule of recognition. The limited primacy of the 1972 Act derives from that Act. The 2011 Act confirms this. EU law is not an independent source of domestic law . Lord Reed drew a distinction between the De Keyser principle that prerogative cannot be exercised when a parallel statutory scheme exists and where such an exercise would mean a statutory provision would ‘cease to have practical application’. ‘The latter proposition cannot be derived from De Keyser’. The only other source is Parliament’s intention which takes the argument no further. The issue of remedies also serves to distinguish De Keyser as there is no comparable remedy in this case . Lord Reid also endorsed the reasoning of the court in Rees-Mogg saying that the prerogative is fettered only by express or necessarily implied curtailment or fettering. The possibility of review of the decision has not been discussed, although he expressed no view. Also, there are political controls such as ministerial accountability to Parliament. ‘It is important for courts to understand that the legalisation of political issues is not always constitutionally appropriate, and may be fraught with risk, not least for the judiciary’ . Lord Reed, and the minority judges, all expressly agreed with the majority on the devolution issues. Lord Carnwath set out the basic principle that prerogative cannot alter the law or deprive citizens of rights. Precedents for withdrawing from treaties were ‘hard to find’. He cited a Canadian case. The Divisional Court saw the dispute as between Executive and Parliament. No less fundamental is the principle of Parliamentary accountability. This is a matter for Parliament alone. Lord Carnwath quoted Professor Phillipson (MLR article) on the technical issue that decided that case but also on the ‘balance between the three organs of state’ argued by Lord Mustill in FBU. He approved Professor Phillipson’s argument that rather than being ‘antagonistic’, the constitution ‘works most effectively’ when the different institutions ‘work together’ . This observation is described as ‘particularly pertinent’ in the light of the debate in the House of Commons. Two principles were set out. ‘In the absence of any statutory provision to the contrary, the power to make or withdraw from an international treaty lies with the Executive, exercising the prerogative power of the Crown’. The second principle was that ‘it is necessary to consider whether that power is subject to any restrictions by statute, express or implied, or in the common law’ . Lord Carnwath said he found no such restrictions in the EU statutes. The 1972 Act did not remove the Crown’s treaty making prerogative expressly or by implication. The 2008 Act imposed no restrictions on the exercise of Article 50 by the Executive. Notice will not ‘change any laws or affect any rights’. He approved the reasoning of Maguire J in the McCord proceedings. Lord Pannick’s ‘trigger/bullet’ analogy is ‘superficially attractive’ but ‘a real bullet does not take two years to reach its target’. Domestic law ‘will change’ but it ‘is clearly envisaged that the final form of the changes will be governed by legislation’ . There will be no breach of the rule ‘on the assumption that such a Bill becomes law by the time of withdrawal’. There was no doubt as to the existence of the prerogative power. But it was held to be an abuse to use it for a purpose inconsistent with the will of Parliament, as expressed in a statute which had it had neither repealed nor been invited to repeal. Such issues do not arise in this case. The Miller respondents base their case unequivocally on absence of a prerogative power to nullify the statutory scheme set up by the 1972 Act, rather than abuse . Tribute was paid to the scale and significance of the ‘interests which will be affected by withdrawal’. The power being exercised, however, was not ‘untrammelled’. In response to Mr Gill QC, Lord Carnwath said that ‘it is difficult to talk of the Executive “foisting” on Parliament a chain of events which flows directly from the result of the referendum which it authorised in the 2015 Act’. The other respondents do not make as extreme an argument as Mr Gill but this shows how a ‘successful defence of the Divisional Court’s order will do nothing to resolve the many practical issues … Those problems, and the need for Parliament to address them, will remain precisely the same with or without statutory authorisation for the article 50 notice… some may regard it as an exercise in pure legal formalism’ . Lord Denning famously spoke of the European Treaty as “like an incoming tide. It flows into the estuaries and up the rivers. It cannot be held back …” (Bulmer Ltd v Bollinger  Ch 401, 418F). That process is now to be reversed. Hydrologists may be able to suggest an appropriate analogy. In addition, generous tribute was paid to this blog. ‘The very full debate in the courts has been supplemented by a vigorous and illuminating academic debate conducted on the web (particularly through the UK Constitutional Law Blog site)’. There is no breach of the constitutional principles ‘entrenched since the 17th century’ as well as ‘no threat to the fundamental principle of Parliamentary sovereignty’. There is no suggestion that the 2016 Referendum has legal effect. It has enormous political impact. The question is ‘not “whether” but “how” the UK may lawfully set about leaving the EU’ . Ms Miller relies on Rule 1. The Government relies on Rule 2. The correct answer depends on the reading of the 1972 Act. ‘Clearly, either reading is possible’. The Act will ‘cease to import any of the rules’ once the UK leaves the EU. The Act ‘is not changed… but it will cease to operate’. The Supreme Court judgment seems to me to violate the doctrine of the separation of powers. The majority judgment effectively rejected at  the printed case (see  of the judgment) of interveners Lawyers for Britain Limited [sic] that “the legislative object was to provide for a final and decisive result” (at  of their case) and rejected without mention or argument the ordinary meaning of “referendum as defined by the Oxford English Dictionary “The process or principle of referring an important political question (e.g. a proposed constitutional change) to be decided by a general vote of the entire electorate; a vote taken by referendum. Cf. plebiscite n”. (Was the OED entry for “referendum” even in evidence? Lord Reed’s conclusion that “In these circumstances, there is no issue before the court as to the legal effect of the referendum result” seems to expressly exclude the intervener because it appears to be premised on the argument of the Secretary of State. The intervention by Lawyers for Britain Ltd was a representative action making an argument the Government defendant conspicuously failed to make: Parliament provided for the electorate specified in the 2015 Act to take the UK’s statutory decision to leave the EU in pursuance of the manifesto commitment of an elected majority Government. By effectively rejecting this, to my mind correct, construction of the 2015 Act the Supreme Court appears to me to have violated the doctrine of separation of powers. I’m obviously not disputing the power of the Supreme Court, or other courts, to interpret legislation. I’ve always thought the claims must be justiciable because they involved interpretation of multiple statutes. 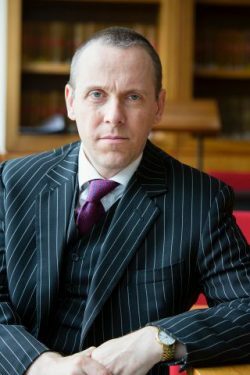 I’m saying that – by failing to correctly discharge their public-law duty to give the “true meaning” to “referendum” in the 2015 Act – the Justices have improperly reversed what I see as the clear political decision taken by the Queen in Parliament in he 2015 Act that the article 50(1) decision on withdrawal would be taken by the electorate and not Parliament itself. The mischief the 2015 Act was clearly intended to avoid was the political rancour that will now erupt during the passage of the Bill that the majority of the Supreme Court has held must be enacted before notice can be given under Article 50(2). This entry was posted on January 26, 2017 by Constitutional Law Group in Devolution, Europe, European Union, Judicial review, Northern Ireland, Scotland, UK government, UK Parliament, Wales and tagged Article 50 TEU, Brexit, Brexit judgment, Case of Proclamations, De Keyser, European Communities Act 1972, European Parliamentary Elections Act 2002, European Union (Amendment) Act 2008, European Union Referendum Act 2015, Fire Brigades Union, Laker Airways, Miller v Secretary of State for Exiting the European Union, prerogative powers, Rees-Mogg, Royal Prerogative, Sewel Convention, Simms, The Zamora, Thoburn.